The wholly-owned subsidiary of Ruicheng Enterprise --- Sihui Guangzheng Aluminum Production Base is an integrated aluminum manufacturer specialized in the production and sale of industrial aluminum, special aluminum, luggage aluminum, skirting, curtain rails, LED lamp materials and general decorative materials. Since its establishment in 1992, with 27 years of experience in aluminum production, the company has enjoyed good reputation in the industry. Under the management tenet of "Quality Oriented, Customer First", Ruicheng has continuously expanded its production team and added production equipment. At present, the company covers an area of over 66,000m2 and annually produces 19,000 metric tons of various aluminum alloy profiles. 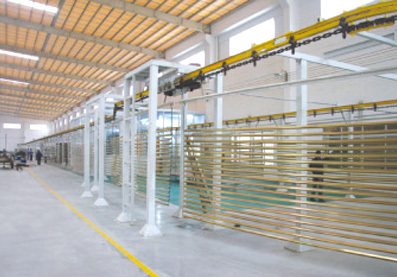 The company possesses advanced casting equipment, oxidation coloring equipment and 16 sets of modern aluminum alloy extrusion production lines, and adopts the modern management mode. Our aluminum profiles feature wide application, sturdy and durable with novel colors, keep up with the market trend and have pass ISO9001:2000 International Quality System Certification. Since the establishment, with the unremitting efforts of the company, "Ruicheng" brand aluminum profiles have been sold well all around China and exported to overseas due to high product quality and sincere service. 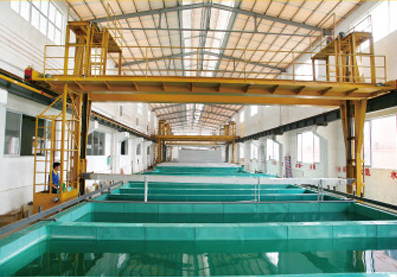 In addition, Ruicheng is developing diversified business when processing and production according to the requirements of customer, adopting the modern technology, Ruicheng is continuous innovating and developing various industrial and decoration aluminum profiles, and is striving to make the "Ruicheng" brand products to launch into the international market and keep pace with the world. Ruicheng honors contracts, keep promises, and is sincerely serving the customers with reasonable prices.